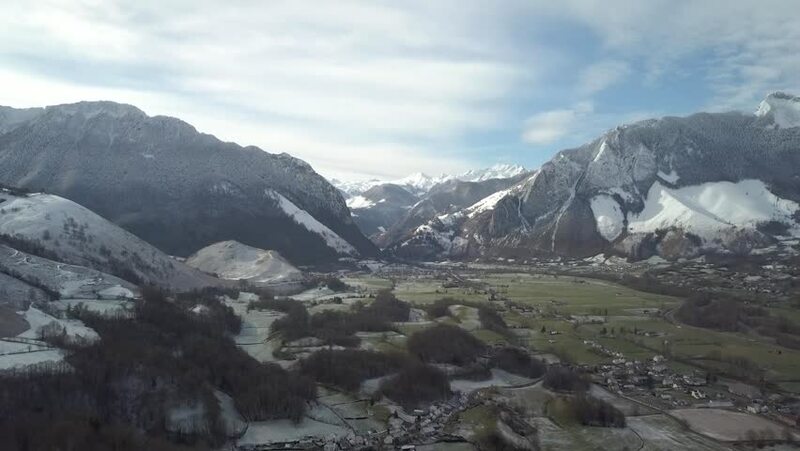 Aerial view in Vallée d'Aspe, Pyrénées, France. Mountains with snow, green valley and villages. hd00:21Ridges Snow Polar Rocky Mountains. The scene travels along escalating rocky mountain ridges. hd00:21Ridges Snow Polar Rocky Mountains. The shot travels thru an escalating rocky mountain ridge.